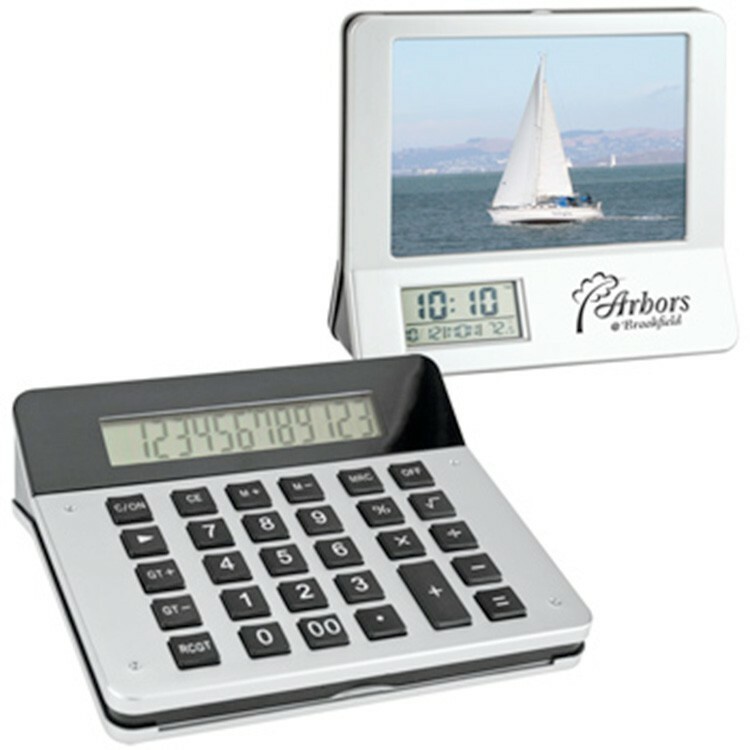 3-in-1 calculator, picture frame, and LCD digital clock. Back side includes metallic silver full-size desk calculator with raised black plastic buttons and 12-digit LCD digital display. Front side features 3-1/2” x 5” photo frame with protective glass insert and LCD digital clock. Requires 2 AAA batteries (included).